Having an unstable cervical spine can lead to big problems for any affected patient, including neurological or mechanical dysfunction. The human spine is a wonder of engineering, but is still prone to being injured and suffering the typical types of age-related deterioration that we all face as we get older. Most spinal columns will weather a lifetime of use and abuse without failing. However, some cervical spinal regions might become unstable and will require drastic medical interventions in order to preserve functionality and possibly even spare life itself. 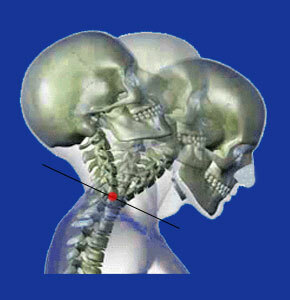 Spinal instability in the neck region is the worst possible location to suffer a breakdown of structural integrity. This is because the higher up in the spinal column a pathological process occurs, the wider ranging the effects will be on the patient. An unstable spinal region in the neck might influence the function of many different bodily systems, including all 4 limbs, the entire torso of the body and many of the internal processes that are required for life. This discussion examines the causes and consequences of spinal instability in the cervical region of the human backbone. Traumatic injury can shatter vertebral bones and damage intervertebral discs. Significant fractures, fragmented bones and the migration of fractured elements can all create disastrous results that may create spinal instability. Extreme versions of anterolisthesis and retrolisthesis can cause the spine to become unstable at the affected level. Extreme hyperlordosis or kyphosis conditions in the neck can cause the spine to lose structural integrity. Rare, severe cervical scoliosis might create a partially or wholly unstable spine in extremely uncommon scenarios. The consequences of some forms of surgery can certainly create instability in the cervical region of a postoperative spine. Spinal fusion can cause massive degeneration and eventually instability that might warrant additional levels of fusion in a cascade effect. Likewise, corpectomy surgeries and any type of implant-based vertebral repair or restoration can all cause an unstable spine, if the restored region fails at some future point in time. An unstable cervical spine can lead to the reduction or obliteration of the foraminal and central canal spaces. When the foraminal canals are affected, the patient may suffer one or more pinched nerve roots that will produce symptoms in innervated areas of the anatomy. When the central canal is reduced in patency or obliterated, the patient will suffer spinal cord compression leading to the typical symptomatic expressions of severe central spinal stenosis, including pain, tingling, weakness and numbness, as well as the possibility for autonomic system dysfunction, sexual dysfunction, the inability to ambulate correctly or at all and incontinence of bladder and/or bowels. Virtually all neurological problems that result from instability can worsen if the bones continue to compress or otherwise injure the spinal cord or nerves. In some instances, instability can lead to permanent spinal cord injury, paralysis or even death. Unstable spines might not impinge on neurological structures but can still cause pain through mechanical interactions, such as when the spinal joints do not align properly or when vertebral structures interact in unusual ways, such as bone to bone contact between hard skeletal surfaces. Some unstable spines will simply not support the weight of the individual at all or under specific movement parameters. Therefore, the patient may be effectively disabled or greatly limited in their physical abilities. Spinal instability in the neck is a very serious condition that unfortunately requires highly invasive treatment in virtually every case. Typically, patients are immediately placed into orthotic devices that prevent them from moving the affected unstable area, in order to reduce the chance of suffering escalated injury to the nerve tissues located therein. 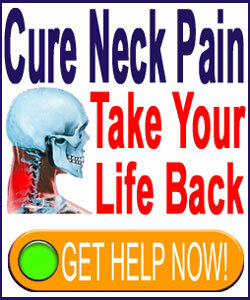 Once stabilized and thoroughly imaged, the patient will usually undergo neck surgery to restore stability to the region. The type of surgery performed will depend greatly on the cause of the instability, but will virtually always involve the removal any impingement of neurological structures, followed by the fixation of unstable levels using spondylodesis surgery or corpectomy surgery. These complication-fraught techniques are the most invasive in the back and neck surgery sector and seek to literally hold the spine together using organic or synthetic bone grafts, surgical hardware, such as pins, cages, plates and rods, and the possible placement of spinal implants for restoration or additional support of the surgical defects once the neurological compression has been resolved. Unfortunately, there are simply few, if any, other therapy options for patients in these dire circumstances, which is a terrible shame, since some patients have suffered unstable spinals simply due to previous fusion or corpectomy operations and now must undergo additional procedures of the same incredibly risky variety.